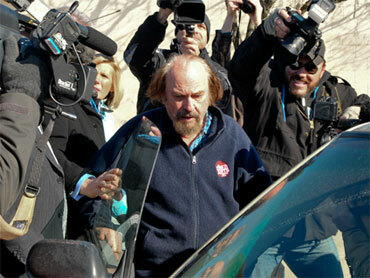 LITCHFIELD, Conn (CBS/AP) Rip Torn pleaded not guilty Tuesday to burglary and firearms charges related to his January arrest inside a Connecticut bank. Connecticut state police say that the 79-year-old actor was so drunk on the night of Jan. 29, that he broke into the Litchfield Bancorp branch with a loaded gun, thinking it was his home in Salisbury, Conn. Salisbury is located about 25 miles away from Litchfield in the northwest corner of the state. Torn is charged with criminal trespass, carrying a gun without a permit, carrying a gun while intoxicated, burglary and criminal mischief. Superior Court Judge James P. Ginocchio allowed him to remain free on $100,000 bond, under the condition that he stay away from alcohol. Torn said he was more than happy to comply. Torn's attorney, A. Thomas Waterfall, said the actor, who is currently appearing in the movie "Happy Tears," has moved from an inpatient to an outpatient rehabilitation program. "Today we established with the court the excellent strides that Rip has made through his treatment," he said. Torn received probation last year in a Connecticut DUI case and also had alcohol-related arrests in New York in the past. He told reporters that he had been through rehabilitation before, and had been sober for some time before the night he was arrested. "I've never missed a day's work in my life," he said. Torn is due back in court on April 27. Waterfall declined to say if Torn is currently working.